Microneedling is a fast, minimally invasive treatment available at Eternal Dermatology for reduction of fine lines, wrinkles, and skin imperfections. 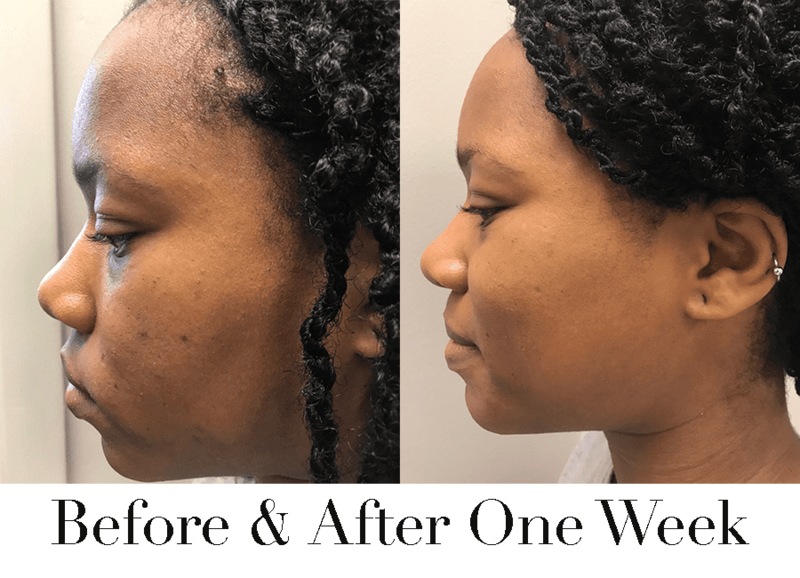 Ife J. Rodney, MD, FAAD, performs personalized anti-aging and skin-enhancing microneedling treatments in Glenn Dale, Maryland, so you can look your best. Call or schedule a consultation today to learn how microneedling can help you have the skin you love. Microneedling is a simple and safe treatment in which tiny, sterile needles are gently pressed against your skin to stimulate collagen formation. It’s an alternative to other anti-aging procedures like injections and surgery if you want to avoid the potential for side effects or a lengthy recovery period. While microneedling is safe and gentle, it’s not recommended for women who are pregnant or anyone taking certain acne medications. Ask Dr. Rodney if you have questions about medications that may cause skin irritation after microneedling. By pricking the skin with tiny needles, Dr. Rodney stimulates your skin to produce more collagen and encourages healthy skin cell growth. Collagen is responsible for the elasticity and fullness in your skin, but collagen fiber numbers decrease as you get older. Microneedling helps to restore smoothness and fullness that may be lost due to aging, stress, and environmental factors. Before beginning your microneedling treatment, Dr. Rodney explains your personalized procedure thoroughly and cleans your skin to remove makeup and oils. She then uses a handheld microneedling pen to glide the tiny needles over the surface of your skin. Dr. Rodney focuses your treatment on the areas that concern you most. During the procedure, you might experience a sensation of pinching or tingling from the microneedling pen. Depending on the size of the areas you want treated, your session may last 30-45 minutes. What results can I expect after microneedling? Immediately after your treatment session, you may notice mild irritation or redness in your skin. This typically goes away within a few hours to a day. Your skin may also feel warmer and fuller right away. As your skin heals over the next week and new collagen develops, you should begin to see fuller, tighter skin. In most cases, Dr. Rodney recommends a series of six treatments to see the best results. If you want a simple solution, with very little down time to improve your skin, try microneedling at Eternal Dermatology. Call the office or book online now to schedule your visit.